I'm not sure I'll ever get into the BioShock series, and I've long since given up on Game Informer, but I'll be damned if the cover art for the October issue isn't a treat to look at! 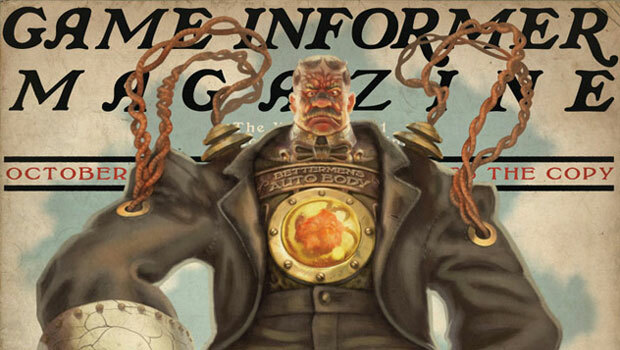 Unveiled at PAX, the issue sports three different BioShock Infinite covers designed by Irrational Games' art team. Instead of the typical GI layout, these covers were made to mimic early 20th-century periodicals like The Saturday Evening Post. On the back sides are fictional ads for products you might find in the game's floating city of Columbia. The attention to detail is astounding -- check out the hi-res scans for yourself in the gallery. I wonder how many people you could fool into believing these mags were authentic period publications.